Like every mom I am busy! I spend half my time running kids from one side of this county to another and as summer nears our schedule is filling up fast! With swimming lessons, gymnastics, camping trips, family reunions etc… there doesn’t actually seem to be a lot of time for cooking. Times like this my Crock Pot becomes my best friend! It’s so simple for me to put something in before we leave the house for the day and when we walk in the door dinner is already made. It’s pretty heavenly to know I don’t have dinner hanging over my head. What is even better is that several of these are freezer friendly. I try my best to keep several freezer meals on hand at all times, then I don’t even have to assemble ingredients in the morning. All of this makes for a quick hearty meal on a busy day and keeps us from having fast food every night. Looking for more Crock Pot Recipes? 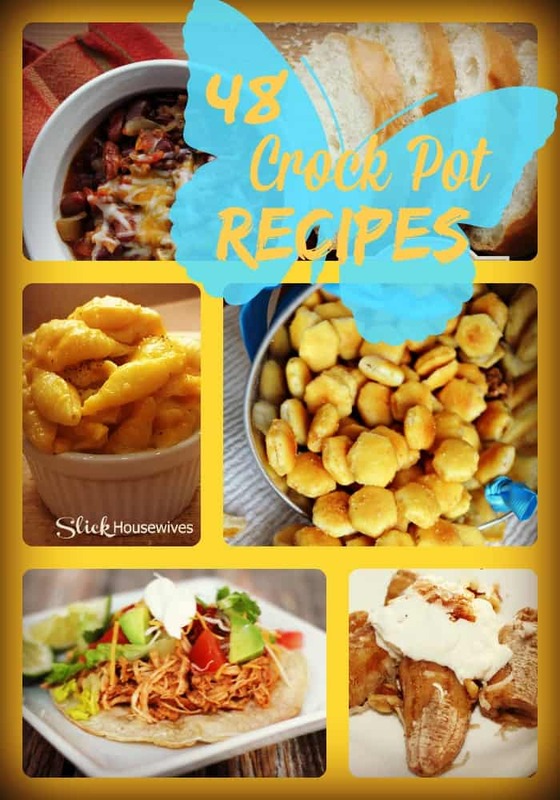 Don’t miss out on the ever popular post 24 Awesome Crock Pot Recipes filled with recipes that remind us of mom’s good cooking. Do you have a favorite Crock Pot Recipe? Do you use your Crock Pot more in the summer or the winter? Thanks for sharing my recipe. Off to check out the others! I am always looking for more crockpot meals, thanks this list is perfect!